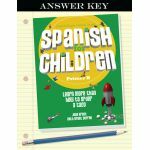 Foreign Language curriculum is always discounted at Schoolhouse Publishing! I readily admit that learning a foreign language is one of the hardest things I've ever tackled - and one of the most rewarding. Give your homeschool student (and yourself) the gift of languages! In today's global economy, it is more important than ever for your student to be equipped to deal with people of other cultures and to share with them the Good News of the Jesus Christ.